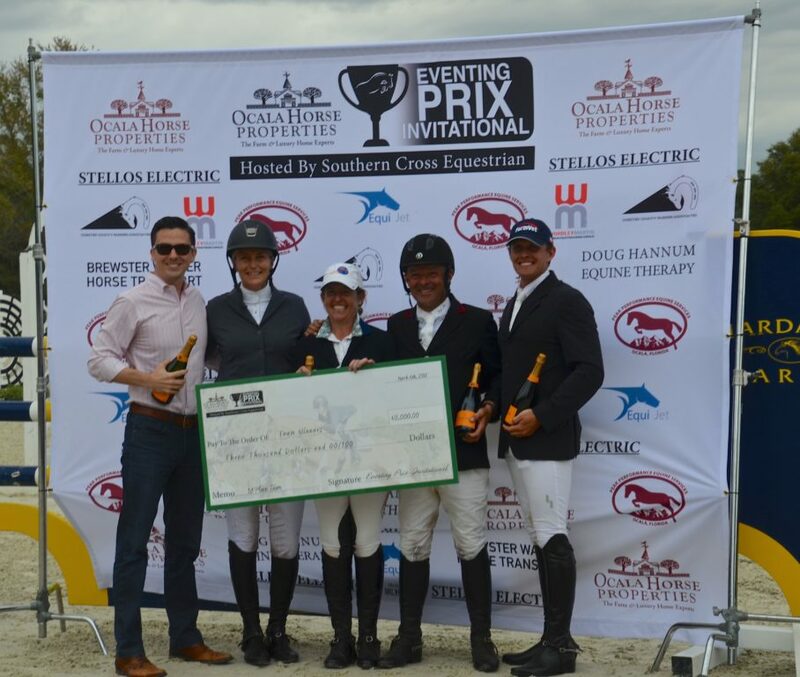 The Ocala Horse Properties’ Eventing Prix, being held March 4th & 5th, has evolved over the years to become one of our communities most loved events. The entry list showcases top equestrian talent from the US, Canada, England, New Zealand and Australia, proving why our region is a hotbed for international horse sport. The Eventing Prix Invitational was created by incoming USEA President, Max Corcoran, and Olympic show jumper, Scott Keach, in 2013. This event, held at their Southern Cross Equestrian, showcases Marion County’s top-level event riders show jumping against the clock, in an effort to win team and individual prize money. Monday, March 4th is the 1.15m Welcome Class and Tuesday, March 5th, features the 1.30m Ocala Horse Properties’ Eventing Prix! This year promises to be tremendously entertaining, with an early list of world class entries assuring that the competition will be fierce! That commitment to Eventing is why OHP steps up year after year to support this type of event! Over the past several years, this format of show jumping competition for event riders has become popular throughout the USA because it offers prize money and showcases the sport of eventing to a wider audience. The OHP Eventing Prix Invitational exemplifies the bond between riders, owners and supporters in the Marion County region and the goal is to see this event thrive for years to come. The team at OHP is comprised of dedicated horse people with a passion for Eventing. The Desino Brothers relocated to Ocala nearly 2 decades ago, originally coming here in 2002 for the winter training season. In 2005 Rob and Chris invested in a large horse property that backed up to the O’Conners, permanently relocating to Ocala from New York State. Soon after settling in Ocala, their dedication to the sport evolved into their passion for providing quality real estate services to this niche market, and the rest is history! Matt Varney with 2018 winners Team Unstable: Sara Murphy, Sharon White, Joe Meyer and Bobby Meyerhoff. A perfect example of that loyalty within relationships is OHP’s ownership of top level horses for Liz Halliday-Sharp, who competes in the Eventing Prix. Liz and her husband Al originally met the Desino’s while shopping for property in Ocala. That businesses relationship evolved into friendship, and the team at OHP began to observe Liz’s work ethic and competitive talent. Today, OHP owns syndication shares in several of Liz’s Horse Power Equestrian horses, including Deniro Z and Cooley Moonshine. Matt Varney added that their dedication to this particular event is due to the draw it has within the Ocala community. He began working with the Desino Brothers in 2010 at Wellington Equestrian Realty, traveling back and forth to manage Ocala real estate transactions as that business grew. Matt expanded upon OHP’s choice to align themselves with the Eventing Prix, as they’ve also supported larger shows at the Ocala Horse Park, Longwood and HITS. OHP will continue to support multiple venues and horse disciplines, including the OHP Eventing Prix Invitational, the hunter/jumpers at HITS and FEI combined driving and show jumping at Live Oak International. 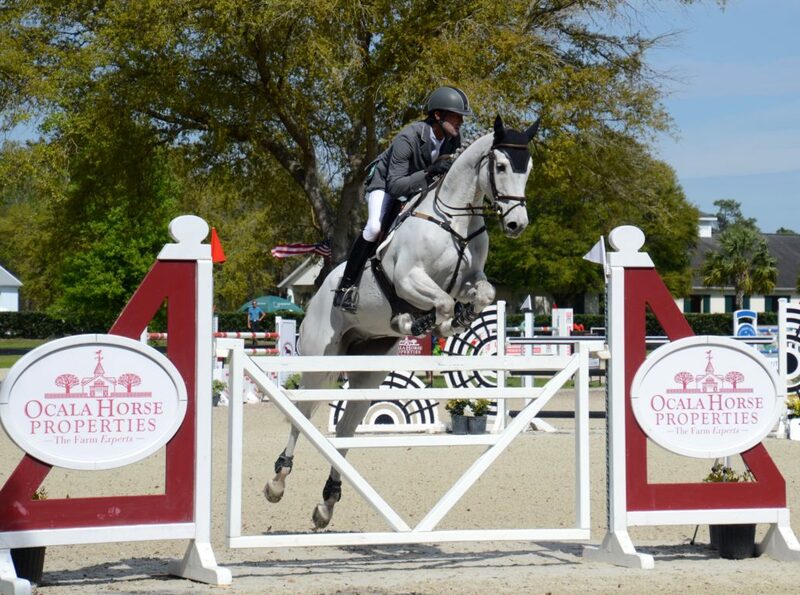 This year Live Oak International is scheduled immediately after the OHP Eventing Prix, March 7th – 10th. This spectacular venue offers 4 days of action packed FEI level competition for Combined Driving and the Longines FEI World Cup™ of Show Jumping. The venue is breathtaking, the competition is world class, and the shopping and parties are second to none. Ocala Horse Properties hopes that you’ll join them at both events during the first week of March in Ocala. For more details on both events please see below.